We want everyone who is associated with Essential Fitness, LLC to have the opportunity to participate in any activity that we offer. 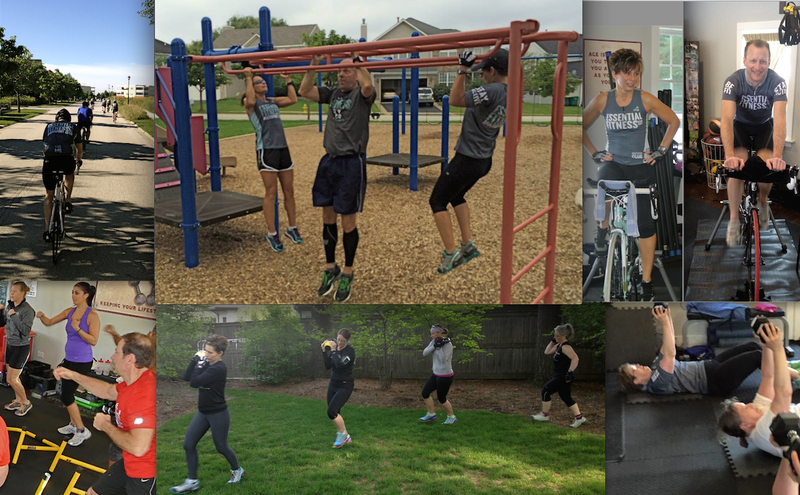 We are going to concentrate on our niche which is offering a combination of fitness workouts, which will be called the “EFIT Weekend Workouts.” These workouts will help you maintain or enhance your personal fitness levels. They will also help you to build a solid base for any sport/race that you participate. Participants can purchase a Punch Card (for Weekend Workouts only) which has 10 Workouts on it for $89. The 10th Workout on each Punch Card is Free. Any workouts purchased in 2017 must be used during the course of the calendar year (2017). Each person will have a punch card that we will use to track each event that he or she has participated in. There will be nine (9) workouts (Please see “EFIT Weekend Workouts”) to choose from with this package. You may choose whichever workout that you would like to participate in based on what works best for your needs. Please note: The Punch Card is for the Weekend Workouts only and cannot be used for any private, partner or group sessions with Essential Fitness, LLC. We will still participate in various races, walks, bike rides, and runs throughout the year and these events will be available to anyone that works out with Essential Fitness, LLC. We also have a Facebook site called “EFIT Studio Workout & Multisport Activities,” and an email newsletter for those members not active on Facebook. Click here to see a list of our calendar of weekend workouts.